I used the Arduino Yun and the Grove Starter Kit for Arduino to build a physical interface with Uber services. The full project details are available on Hackster.io and GitHub. Over last summer, I got the GamePack from Liquidware which includes a touch screen display, joystick, microcontroller, and battery pack. With this kit you can make a GameBoy from scratch. With some blood, sweat, and tears, I was able to re-create some games like Asteroids and Tetris. The touch screen is called the TouchShield Slide which is a 320×240 OLED and resistive touch screen. The screen also has a microcontroller that is Arduino compatible and expands your program space. 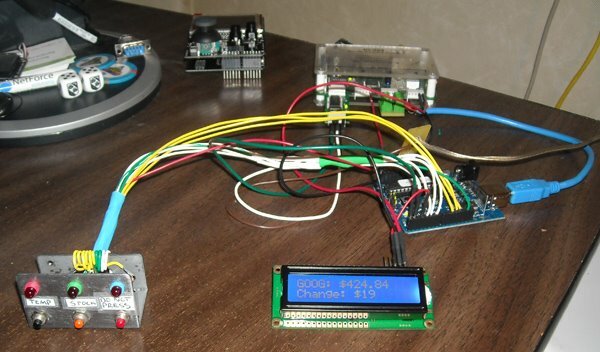 Since the screen is really a microcontroller in disguise, it can be used for many types of projects. Overall I am very happy with the screen, but I realized I didn’t know how to use it very well. I set out to learn and develop a protocol / reusable library that allows the screen to talk to a microcontroller and vice-verse. So I wanted to take a moment and explain what I learned – maybe you can get going faster than I did. My goal is to be able to display data on the screen that has been received from another device. The data requested would be initiated by a touch on the screen. The protocol has to be consistent and reliable, while being flexible enough to be the basis for future projects. I found quite a few libraries and resources on liquidware.com. I also discovered quite a few important things through my trial and error. My biggest frustration was with programming and figuring out the IDE. Here are some tips. Serial data sent and received by the TouchShield Slide uses the hardware serial lines. Now you can read and write to and from the serial buffer. To read in a whole string, use a byte array to store bytes from the serial buffer when serial data is available. To write to the serial buffer, simply use serial print. On the Arduino side, you have to use some form of Software Serial that sends and receives data on Pins 2/3. 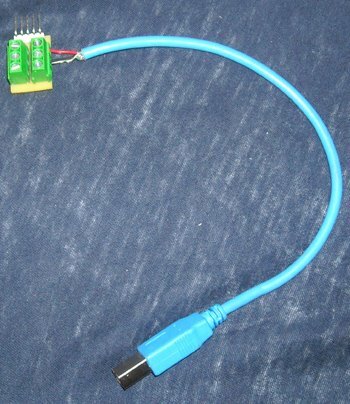 I have found that the Adafruit SoftSerial Library, “AFSoftSerial.h”, works the best. It seems to be reliable and produce consistent results when talking to the TouchShield Slide. Reading and writing from a software serial buffer is about the same as a hardware one with this library. I took a moment to put together all of the things that I learned into a quick demo project. This project displays a random number on the screen. The random number is being generated by an Arduino, sent via serial, and requested by a touch of the TouchShield Slide. Visit Liquidware’s App Store to download the source code and library for this demo project.